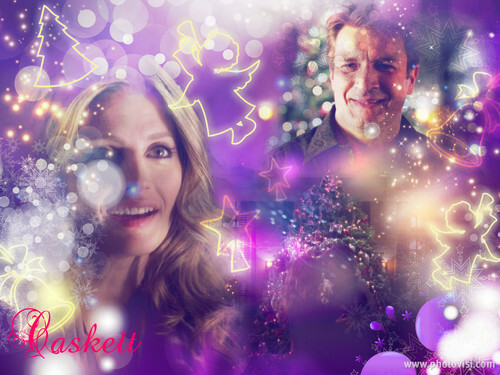 Caskett Christmas Wallpaper <3. . HD Wallpaper and background images in the Caskett club tagged: caskett castle beckett kate beckett richard castle nathan fillion stana katic always.